← New Website for Cork, Cloyne and Ross Diocese Goes Live! The Bishop of Cork, Cloyne and Ross, Dr Paul Colton, announced today that he was creating a new post in the Diocese of Chaplain to Lay Ministers. As well as creating the opportunity of exploring new possibilites of support for lay ministers and volunteers in the Diocese, the Bishop said it will also combine two existing positions: Warden of Readers and Chaplain to Lay Pastoral Assistants. The post of Warden of Readers was held until recently by the Reverend Bruce Hayes who is now Rector of Dalkey. The Chaplain to the Lay Pastoral Assistants, Canon Paul Willoughby, recently decided to step down from that role and as Chairperson of the Diocesan Healing and Pastoral Care Committee. 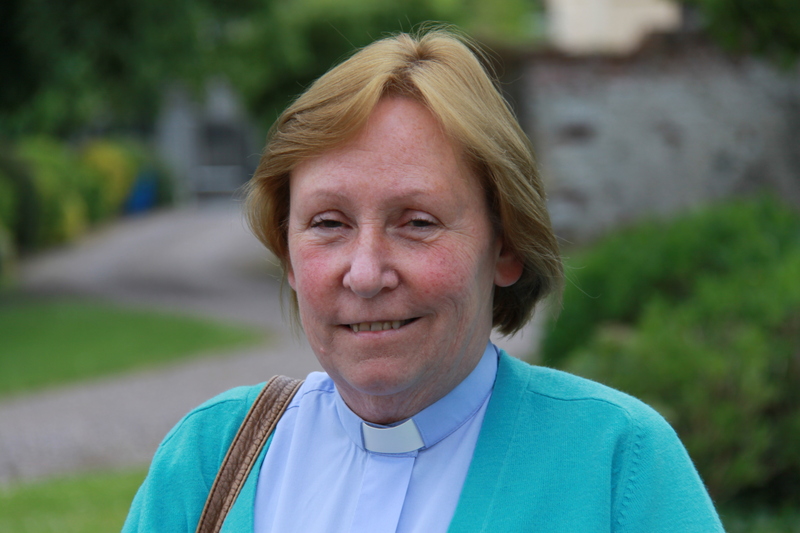 Bishop Colton has announced that he is appointing the Reverend Susan Watterson, Dean’s Vicar of St Fin Barre’s Cathedral as Chaplain to Lay Ministers in the Diocese. Sue Watterson is ideally suited to this new post which will fulfil alongside her work as Dean’s Vicar at St Fin Barre’s Cathedral. She knows the Diocese already, having worked here in before as Rector of Youghal Union. She brings to this role her particular skills in special education, language and communication, her understanding of those living with HIV/AIDS, as well as her training in spiritual direction and supervision of ministry. Sue’s work with the Acorn Christian Healing Trust and also the Church’s Ministry of Healing, allied with her understanding of the changing face of parochial ministry will bring rich insights and experience to this work of supporting Diocesan Readers, Lay Pastoral Assistants, Lay Liturgical Assistants and others involved in lay local ministry in the Diocese. This entry was posted in Appointments, Bishop, Chaplaincies, Community Involvement, Diocese, Lay Ministry, Pastoral, People from the Diocese, Voluntary Work. Bookmark the permalink.